Hitachi IBM HDS721010CLA332 hard drive not working? Outsource is experienced with Hitachi IBM HDS721010CLA332 hard drive data recovery and repairs. We will get your data back so you can get on with your life. Hitachi IBM ‘s HDS721010CLA332 is a desktop (3.5″) hard disk drive with a storage capacity of 1TB and featuring a SATA interface. There are multiple PCB revisions for this hard drive, so if you will need to match a replacement PCB, it is important that you note the revision number of your current circuit board in addition to the hard drive’s model number. Outsource has successfully repaired or performed data recovery on thousands of Hitachi IBM hard drives, including model HDS721010CLA332 . We are also partners with Donor Drives, the largest provider of Hitachi IBM donor hard drives and PCBs, so we have immediate access to almost any part or donor drive imaginable in order to complete your project quickly. Outsource is able to successfully repair or recover nearly nine out of ten projects we receive, including the common failures of HDS721010CLA332 drives you see below. 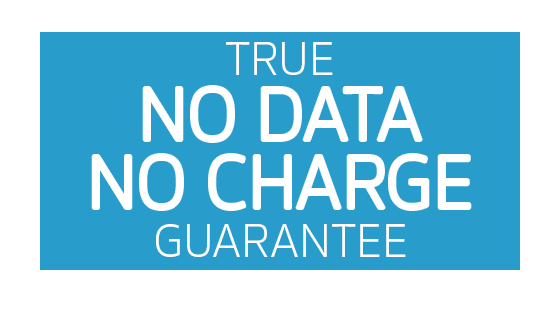 This rate is among the best in the industry, and we offer a True No-Data, No-Charge Guarantee for your HDS721010CLA332 data recovery: If we cannot recover your data, you will not pay any service fee! Hitachi IBM HDS721010CLA332 hard drive failure can result from many causes. Check out our video on identifying common hard drive failures. One of the most common causes of failure for Hitachi IBM drives is a burnt circuit board, or PCB. This can be caused by a power surge or other sudden electrical impact. If your drive does not spin up, or if you smell smoke coming from the hard drive, these can be signs of a burnt circuit board, which should be repaired as soon as possible. If this is the issue, you can try to repair your drive by replacing the PCB. Make sure to use this donor matching guide for data recovery to increase the chances of compatibility. For instance, you should use a replacement PCB from the same model ( HDS721010CLA332 ) and PCB revision. Also, check out the video to the right for some tips on trying to replace the circuit board. Don’t want to attempt this yourself? Outsource offers a $60 hard drive Repair Service, which includes PCB replacement or repair with parts and labor! Yes, this Hitachi IBM HDS721010CLA332 hard drive can qualify for the $60 hard drive Repair Service. This includes repair or replacement of a faulty PCB, patching of minor firmware issues, and/or correction of PUIS errors that disable the drive from spinning. For more details click here. Visit our Instant Quote page to generate an estimate of the cost of data recovery for your HDS721010CLA332 hard drive, which will depend on the type of failure and other factors.